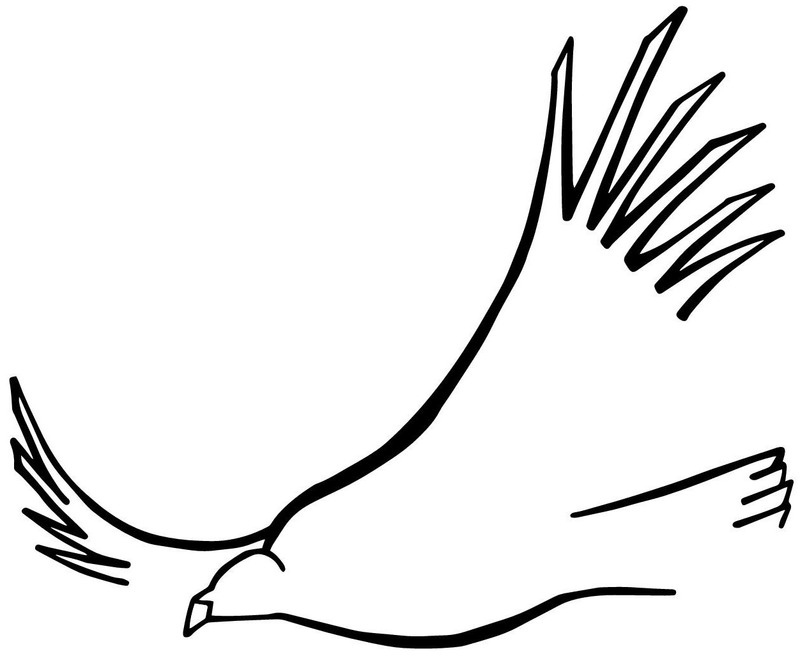 The next 2 cachets are from 1995. 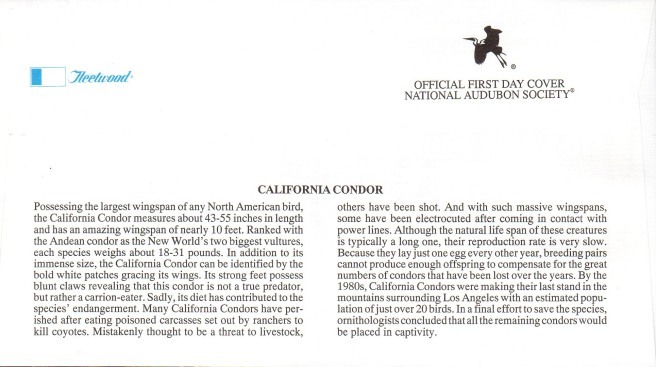 Their reverse sides offer different, short essays about the California condor. 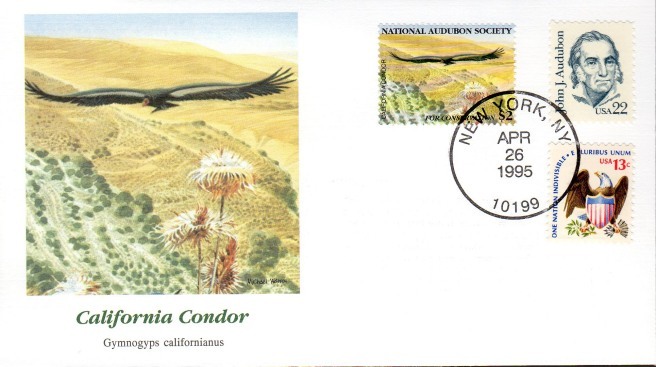 I was especially struck by the image immediately above as it beautifully reveals the airfoil shape of the bird’s wings and the way that California condors hold their wings “flat” as they soar. 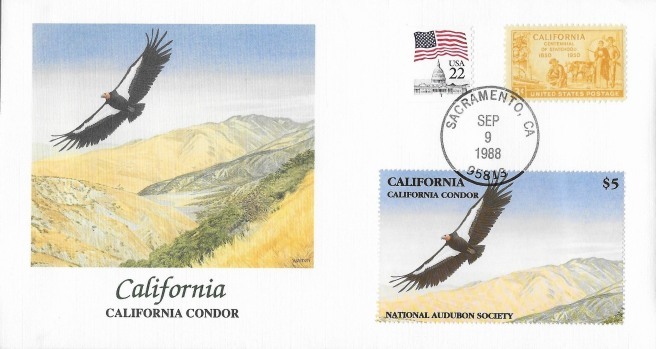 The 2 conservation stamps from 1995 are part of a group of 5 stamps that divide up a single painting. 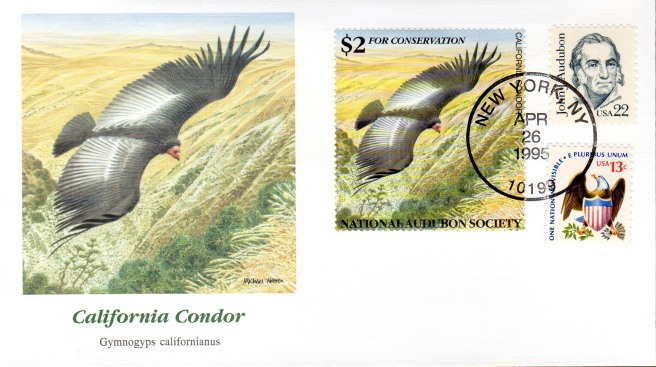 To see this single sheet, which includes a 3rd stamp with a California condor, see the previous post Promotional art. 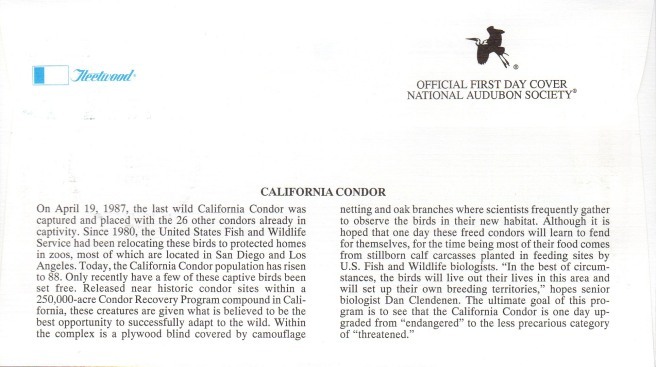 California condor enthusiasts are fortunate that Michael Warren chose to paint the great bird and its habitat.